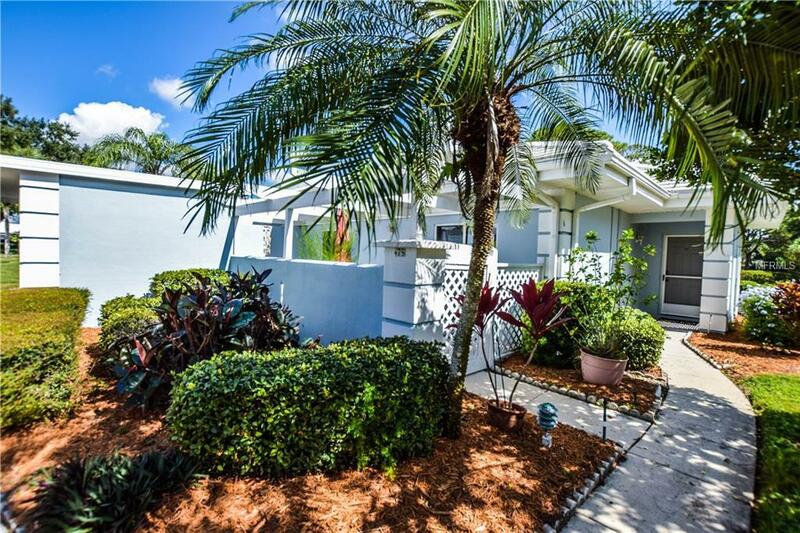 Come and enjoy this wonderful 2/2 furnished Augusta villa in Plantation Golf & Country Club, This villa offers views of a lake as well as the second hole on the bobcat golf course. It also has tile on the diagonal thru-out the kitchen, dining and living room. The kitchen has been updated with cabinets and countertops. Both of the bathrooms have updated vanities and countertops. There is a lanai in the rear of the home and a courtyard area in the front of the home. The tile roof was replaced in 2004 and the unit was replumbed in 2006. It is located close to one of the community pools just a short distance across the street. Memberships are available in the Plantation Golf and Country Club should you desire one but you are not required to join.